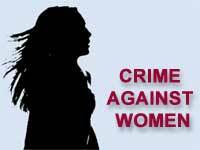 Thank you very much for providing opportunity to Indian citizens to express their opinions regarding growing menace of crime against women. Punishment in this case should be at least 10 years with maximum sentence could be capital punishment. As victim in this case in not only incapable of providing any resistance but also unable to understand the nature of crime being innocent; the minimum punishment should be “Life imprisonment” to maximum of capital punishment. Any sexual crime performed by “group of people” deserves capital punishment only if proven guilty. As they are not at all fit to live as human beings or social animals and could result in severe risk for entire humanity in future as well. If crime is performed at public places then respective local authorities should also be made party in the case as they are responsible for providing adequate safety measures for general public visiting those places. Concerned officers must be punished strictly with punishment ranging from termination from service, fine to jail term. Same law should apply to private organizations such as school, hospitals, theatres etc. These are some of the suggestions which you may consider to make this country better and safer place for women /our mothers /sisters and everyone.